Nonprofits are a thriving and vital part of the Oregon economy, employing more than 140,000 people and representing 12% of private-sector jobs. Charitable contributions to nonprofits in 2013 totaled $1.76 billion, up slightly from the year before, according to the Giving in Oregon 2015 report. 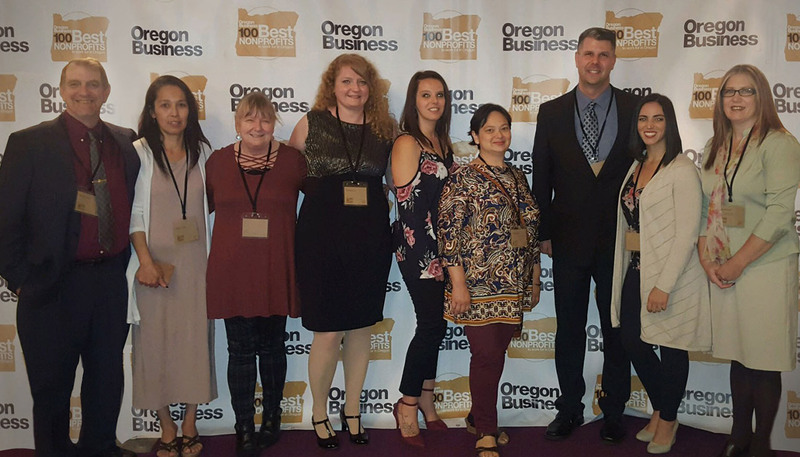 For the last nine years, Oregon Business magazine has been naming 100 Best Nonprofit companies to work for in Oregon from various sectors. The project attracted organizations and approximately 5,000 employees from across the state, representing a variety of sectors, from social services to environmental advocacy. The annual survey gives a voice to nonprofit-sector employees by asking them to rate their satisfaction with different workplace practices. The 100 Best list showcases organizations that are exceptional places to work based on employee feedback to the survey. Willamette Family was first invited to participate in 2014 and we were ranked at #32. The following year, our employees ranked us at #14, and we were at #24 in 2016. For the first time this year, the questions were revamped to take into account the growing significant of equity to the nonprofit workplace. Employees were asks to measure their satisfaction with equitable treatment of differing racial and economic groups as well as with opportunities for equitable promotion and growth. This year, 100 Best Nonprofit employees were more satisfied with pride and belief in their organizations, the progress of the mission and purpose of their nonprofits and the flexibility to balance family, community and job obligations. We are proud to announce that for this year, our employees have placed Willamette Family at #13 – making this year our highest achieved ranking so far.